A carefree happy boy in Syria, on the cusp of becoming a young man, finds himself and his family caught up in the tragedy of Syria’s civil war. Prue Mason has lived in the Middle East and has already an understanding of many issues of that region. In this book, she wanted to try to explain how the violence in Syria began and of course, how it affected the ordinary people. She comments that… Doing the research for this story has been harrowing. I’ve been in tears many times as I’ve viewed YouTube clips and read the blogs of people who are seeing their country torn apart from within. A recent statement from the United Nations (UNICEF)underlined the fact that Syria is one of the most dangerous places on Earth for a child – with an estimated 5.5 million affected by the country’s ongoing conflict (Time, March 2014). When Zafir, his doctor father and equally well-educated mother, relocate from Damascus to Homs, they have no idea of the impending doom which is hurtling towards their everyday lives. As revolt and bloodshed become commonplace and the city of Homs is targeted by gunfire and shelling, Zafir’s family is torn apart and this 13 year old boy, like so many other Syrian children, is forced to grow up fast and fight to survive. As with the other titles in this series, readers are placed in a position of understanding the uncertain and often tragic circumstances of their international counterparts and are encouraged to exercise their compassion and sense of justice. 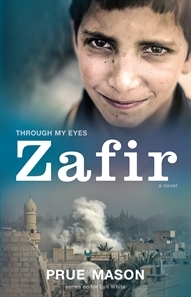 Through My Eyes represents an important initiative in Australian children’s publishing offering both the opportunity to examine and deepen knowledge of these world affairs and also to contribute to UNICEF through the sales of the books. Highly recommended for all Upper Primary/Lower Secondary readers – the whole series should be on your shelves. Teaching notes for this latest title will soon be available at Through My Eyes, others are already in place. 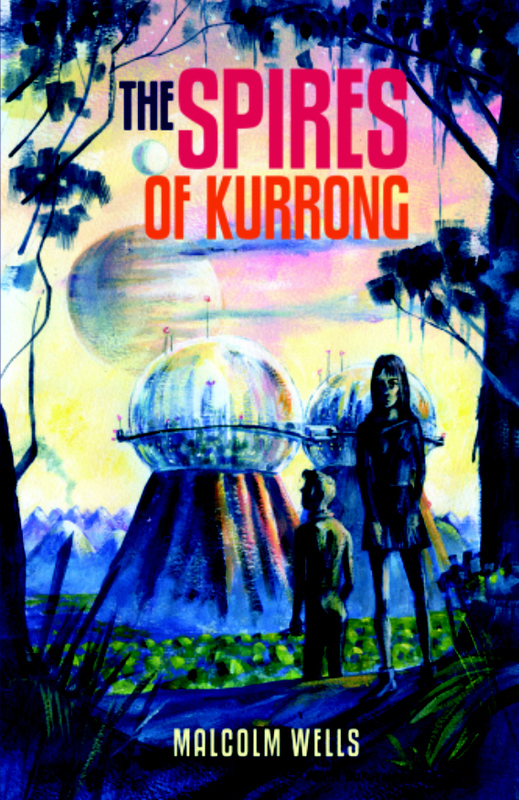 In the tradition of such writers as H. G. Wells and Jules Verne, Malcolm Wells has created a SciFi/Fantasy that takes the reader into a future world where conflicts, attitudes and social ills reflect many in our current global society. Atop two great spires, contained within twin domed cities, a race of people has existed for generations believing themselves to be the last humans on earth. Ruled over by a long line of Prefects, these people have been told that the surface below them is inhabited by daemons and that their Great Protector is the power that protects them and sustains them. Divided into Inner and Outer Zones the people are segregated into two classes which are forbidden by ancient laws to freely associate with each other. When Markus, son of the current Prefect, falls in love with Filona, an Outer Zone innkeeper’s daughter a train of events is put into place which rocks the foundations of the domed cities’ civilisation. Risking everything to escape to the surface, the couple is shocked to discover no daemons but an advanced society of humans spread across a federation of nations, ruled over by the President. Here they learn the true history of their own people, who in effect are prisoners in the domed cities as the result of a long ago rebellion. The myth of the Great Protector is exposed as Markus and Filona learn that all sustenance and economy of the twin spire cities comes from their growing and supply of the addictive drug Marenge to the surface dwellers. As the young lovers grapple with understanding the hidden history while being amazed at the nature, landscapes and inventions of the surface dwellers, they are unknowingly embroiled in a plot by Madam President which will remove the domed cities and their inhabitants forever. Markus and Filona find unexpected allies and forge a path which will ultimately avert the intended disaster for their people, as they create a shared life in their new country. This is an interesting allegorical work which will appeal to Speculative Fiction readers of around 14 years and up, both boys and girls. As many in our nation continue to fear and abuse any of the Muslim faith and while even the global media whips this anti-Islam feeling into frenzy, this is an important book for young Australian adults. 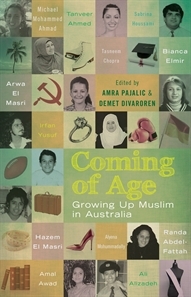 This is a collection of memoirs of growing up in Australia in the Muslim faith contributed by both well-known and unknown young Australian Muslims. From funny to touching to sombre, these experiences recount the challenges encountered growing up in our multicultural society provide a real insight to the diversity of the Muslim experience and the influence of culture, family and gender in shaping identity. With Harmony Day just a matter of weeks away, this book is prominent in our library’s display to celebrate this event and would be a valuable resource for any secondary library or curriculum study. Pajalic and Divaroren, both experienced and successful writers, are also the co-authors of another volume What a Muslim Woman Looks Like. While even young adult readers will be aware of the beard, the hijab, the front page news; through this collection, they will be able to dig deeper to a greater understanding of Muslim life in Australia. ….dispelling myths and stereotypes, and above all celebrating diversity, achievement, courage and determination… [Publisher] this volume, IMO, should be on offer in every high school particularly with reference to the ACARA general capability of Intercultural Understanding. Highly recommended for readers from around Year 7 and upwards. Find extensive teaching notes here at Allen & Unwin. Many readers will have enjoyed the very funny film trailer for ‘Home’ over the Christmas break and some will be familiar with the book on which it was based The True Meaning of Smekday. 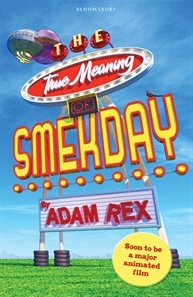 Now a sequel, Smek for President, once again takes readers along for a ride that is packed with hilarity, quirkiness and extraordinary adventures. J.Lo that odd bumbling and rather endearing alien is determined to clear his name with his race, the Boovs. As usual his plans are thrown into disarray and Captain Smek, the supreme HighBoov sees the capture of J.Lo as the perfect strategy to regain his waning control and power. Luckily, J.Lo’s best buddy Tip is not the sort of girl to abandon a friend in dire need. Rex’ ability to combine SciFi and Adventure into brilliant comic stories is very impressive. The stories roll along with a fast pace and even unravelling the intricacies of Boovishly spoken English is uncomplicated for the reader. For readers who are looking forward to the film these may be a great ‘hook’ into reading – simply for the pure fun of it. Highly recommended for readers of around 10 and up. Way to go Magabala Books! for such a great showing at the fair…….. Wonderful news from our friends at Beetle Bottoms!! We are so excited to announce the launch of our crowd funding campaign to raise money for the production of our dolls. We have put together some extra special perks for our funders and you have the chance to pre-order the dolls and be one of the first families to have them in your home. We will also be emailing out some very special kids activities over the next few weeks so keep an eye out for them in your inbox. 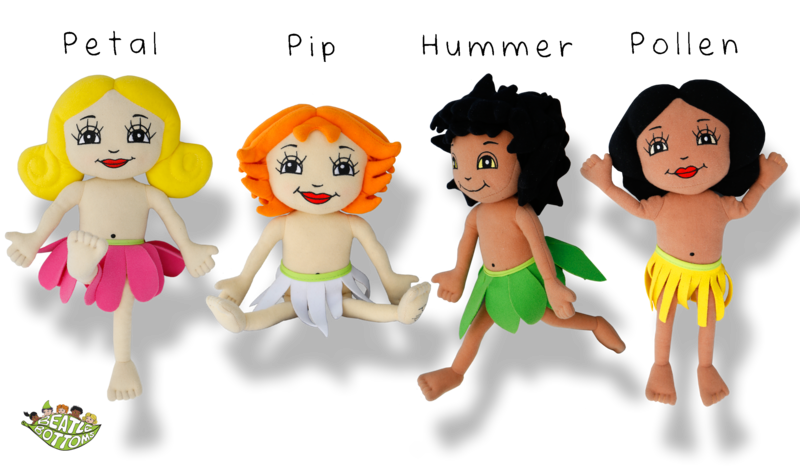 These dolls represent healthy natural role models, and empower kids to embrace their individuality. We have found that most of the popular dolls in the market place encourage children to grow up too fast; they set unrealistic ideals and put adult pressure on children to succeed. It is vital that children have strong role models and dolls that represent them. If you love these dolls and the ideals behind them please share this campaign with your friends by forwarding our emails and sharing our posts on social media and if you can join the campaign every little bit helps bring this dream to reality. Lets all work together to create better role models and a childhood just for kids. The popularity of this series was very evident last year with my Year 5 boys. Written in an illustrative diary style by Marcus the main character, they tell of the poor boy’s trials and tribulations in the sporting arena. 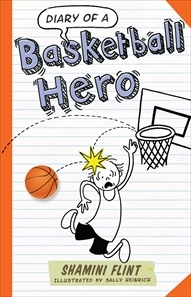 Marcus is NOT a basketball player but his dad, who writes self-help books, remains deaf to all protests and organises for Marcus to join a team coached by a friend. Marcus is even less impressed to find out it’s a team of girls! This is the 8th in the series and while I haven’t seen their impact with a mixed clientele I can safely say that they are a big hit with boys and not just the nerdy non-sporty ones! I suspect that many of my boy readers were laughing a little smugly as they had not suffered such indignities in their various teams and games! The cartoon style is very appealing and a great support to readers who are not particularly confident or enthusiastic. Sally Heinrich has a real knack for capturing expression with just a few lines. I would heartily recommend this (series) for your primary libraries, mostly suited for readers around 8 years and up. 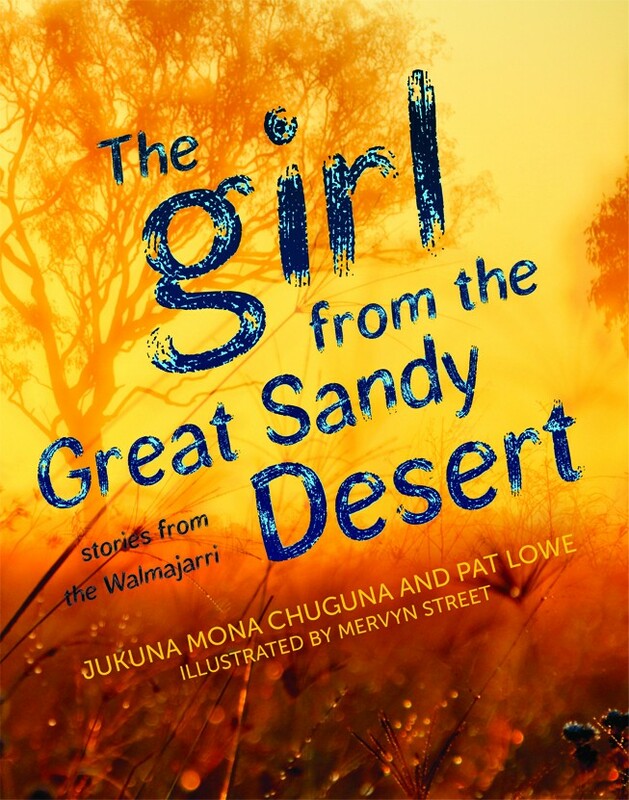 This is a quite different book very suitable for Upper Primary/Middle School with firsthand accounts of traditional indigenous desert life told through the eyes of a young Walmajarri girl, Mana. Pat Lowe is an Englishwoman who moved to Broome in 1979, fulfilling a lifelong dream to live in Western Australia. In the 80s she went to stay in a desert camp for a period of time and while there came to know Jukuna and her family. Later when both Jukuna and Pat were living in Broome, they began to record Jukuna’s stories, Pat having realised what a rich source of valuable cultural information these were. A decision was made to couch the stories in a semi-biographical book renaming characters as many of them were no longer living and it would have been inappropriate to name them. Unfortunately Jukuna died in 2011 but her vibrant story telling now lives on via this wonderful book. Interspersed with the stories are small chunks of cultural information which give background to aspects of particular stories e.g. Mana’s story about dogs is followed up by an information panel about the importance of dogs to the desert people. The beautiful charcoal style black-and-white illustrations are a perfect accompaniment. This is an interesting read on any level and will be particularly useful in teaching situations as there is no need to read the entirety but it can be dipped into at need or to suit aspects of the classroom work. Since at present the cross-curriculum priorities of exploring ATSI culture and history remain in place, works such as this will prove valuable resources. Through Mana’s stories we can all glimpse the life of a desert child before European settlement changed the Walmajarri people’s lives forever. 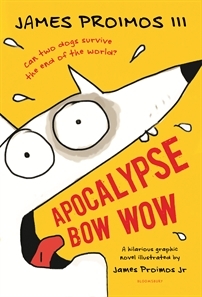 Highly recommended for your library shelves – year 5 and upwards to around Year 7/8. What a delightful book to share with little ‘uns. Expressive illustrations matched with minimal text, this is definitely one for the preschoolers in your crowd. 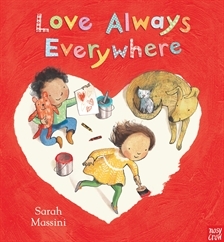 Read about love, talk about love – explore the illustrations and how they so beautifully reflect the simple words. How could you talk about love with your young audience? Whether a single child in your care or a class of tinies, what is it that makes us know we are loved? So timely for both the ubiquitous Valentine’s Day but also Library Lovers Day, take a leap into the love that is expressed so openly and without any diplomacy at all! I’m sure your Early Childhood or Prep littlies will have many stories to tell or opinions to offer on this score. Check this out from the UK publishers as well.